DALLAS, Oct. 23, 2017 — With less than a month until the much-anticipated official launch of the veterans online shopping benefit, more than 225,000 honorably discharged veterans have already been verified to shop at online military exchange websites when the sites open to veterans Nov. 11. The Army and Air Force Exchange Service online shopping benefit is the first military exchange benefits expansion in nearly 30 years. Beginning on Veterans Day, America’s 18.5 million veterans will be able to shop online at the military exchange websites: ShopMyExchange.com, shopcgx.com, mymcx.com, and mynavyexchange.com. Shopping the military exchanges online provides veterans an opportunity to reconnect with their military community, allowing these soldiers, airmen, sailors, Marines and Coast Guard “members for life” to save money with tax-free shopping and military exclusive pricing while also supporting critical military quality-of-life programs. Exchange sales from this newly authorized customer base are expected to be approximately $200 million annually, with $10 million in dividends annually for quality-of-life programs such as Army Child Development Centers, youth programs and fitness centers, Air Force Outdoor Recreation, affordable school lunches for overseas students, below cost combat uniform sales and more. 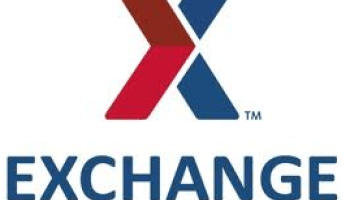 All honorably discharged veterans can go to ShopMyExchange.com today to verify their eligibility to shop their military exchanges. AAFES goes where service members and their families go to improve the quality of their lives. Exchange earnings provide dividends to support military morale, welfare and recreation programs. The exchange system is part of the Defense Department and is directed by a board of directors, responsible to the secretaries of the Army and Air Force through the Joint Chiefs of Staff. To find out more about AAFES history and mission, or to view recent press releases, please visit http://www.aafes.com/about-exchange/public-affairs/press-releases.htm or follow AAFES on Twitter at https://twitter.com/ExchangePAO.